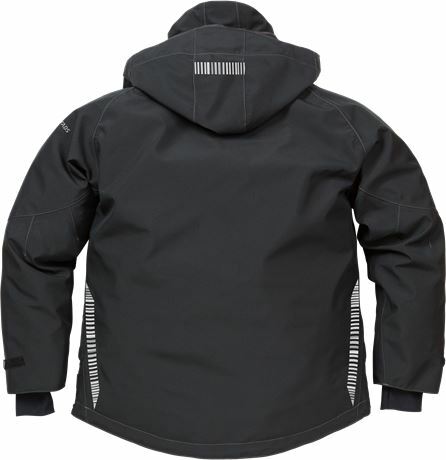 Wind- and waterproof shell jacket in breathable, high quality GORE-TEX -material. 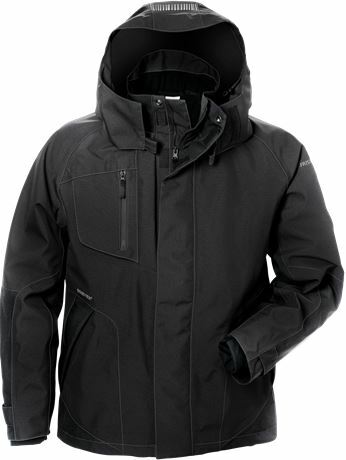 Detachable, adjustable hood and double front flaps. 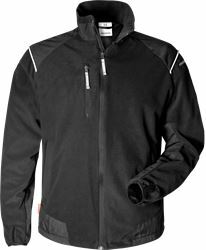 Material: 100% polyester, 2-layer GORE-TEX® laminate. Weight: Outer fabric 220 g/m², lining 67 g/m². 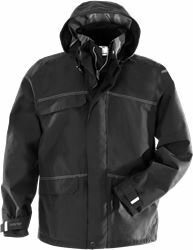 GORE-TEX-material, breathable, wind and waterproof / Taped seams / Detachable hood with adjustable strap and drawstring / Fleece-lined collar with increased height at back / Front zip with double front flaps / 2 chestpockets with zipper / Napoleon pocket at left with full access even when the jacket is fully zipped / Inside pocket with zipper / 2 front pockets with zipper and inside fleece lining / Pre-shaped sleeves / Adjustable width at sleeve end / Extended back / Adjustable drawstring at hem / Inside zipper for embellishment / Contrast seams / Fully lined / Waterpillar > 10.000 mm / ePTFE membrane / RET ≤ 6 / Approved according to EN 343 class 3/3 / OEKO-TEX certified.